Founded in 1999, Wuxi Guangqiang Bearing Trade Co.,LTD, engaged in the expert of precision bearings and bearing related products across a large spectrum of customers - primarily OEM and major distributors. We supply all kinds of bearings such as deep groove ball bearing, self-aligning ball bearing, spherical roller bearing, taper roller bearing, trust ball bearing, cylindrical roller bearing and many more. Not only have "GQZ"the independent brand, but also we have many famous brand bearings. 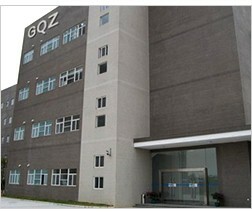 150 staffs, over 10 technicians are devoted to our business. Owning two bearings factories in Wuxi city Jiangsu province and Linqing city, shangdong province,our company provide high quality products with reasonable price for our customers all over the world. What's more,our wealth of experience enables us to give you first class service and unrivaled product availability from all the world's major manufacturers. Quality is the basis of the bearings. Since the foundation, adhering to the principle of "Quality First, Credit First, Independent Innovation" and our company has won a great reputation from our customers from home and abroad. Depending on the complete testing technology and advanced equipment, we can guarantee the quality and precision of the products. Perfect service can earn customers’ trust. Not only offer products as customers requirements(size or quantity), but also we take our customers benefits into consideration firstly: no risk to do business with us, the accurate delivery date. Further more, after the customers received our quality bearings, we accepted return back the bearing goods if the customers was not pleased the bearing quality. Our goal is to exceed our customers to provide high quality products and continues to improve the services we provide timely expectations. Even more important, we want to make mutual benefits and win-win relationship with our customers.